Gmail - Marketing Coach: What's Your Thought Leadership Platform? At the heart of every company with a successful thought leadership platform is a story that informs and inspires. Why, how and when you share that story internally and externally can drive your company's reputation. Establishing thought leadership is a strategic and on-going initiative, not a series of one-off PR placements. So being able to answer quickly and clearly, "What's your platform?" is vital to the reputation and the success of your company. For this issue of Marketing Coach, we explore what motivates companies to get involved with thought leadership, how to zero-in on your platform, and ways of spotting opportunities to speak out and influence your industry. The track record, size and caliber of a company really come into play with thought leadership. An established, well-known company uses thought leadership for some different reasons than startups do. For established companies, thought leadership is an integral part of the business and communications strategy. In this environment, thought leadership secures the company's position in the marketplace, ensures the company stays relevant to their customers and stakeholders, and shapes how the company responds to and engages with the world at large. 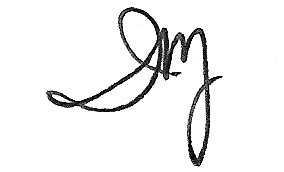 Individuals can use thought leadership to extend their contributions to their companies, while at the same time building their own reputations. Upwardly mobile executives preparing for added responsibility use thought leadership to showcase their portfolios, knowledge and value to their company, and to position themselves as leaders in their industries or areas of expertise. At small companies and startups, thought leadership is a way to appear bigger and more influential than a business' current reality. By contributing thoughtful and timely commentary through channels where your target audiences get information, small companies can establish their bona fides and attract attention by those who share your interests or seek your expertise. The answer to this question will illuminate what your company does, who you do it for, and how you do it differently - and more effectively - than the competition. It's the "big idea" behind your brand. Thought leader Ed Catmull, president of Pixar and Disney Animation Studios, for example, is outspoken about the value of creativity as it relates to computer-animated film. Even in a press interview about business management philosophy, Catmull takes a stand for his and his company's brand when explaining how creativity led to Pixar's putting short films at the start of its movies; shorts that stand on their own as examples of Pixar's thought leadership: "It is a signal to the audience that we're giving them more than they're paying for, a signal to the artistic community that Pixar and Disney are encouraging broader artistic expression, and a signal to our employees that we're doing something for which we don't get any money." Emmanuel Faber, CEO of food and water company Danone, has established his thought leader platform based on environmental sustainability and resource efficiency. He speaks at climate events and is well known for his views on sensible, sustainable business that is intelligently in sync with environmental issues. In an interview earlier this year with McKinsey Quarterly he remarked, "we need a comprehensive response to tackle growing resource scarcity, which both drives the efficient use of those resources through the supply chain and brings healthy food to as many people as possible." Faber is so well recognized for his thought leadership that he has been called a "business philosopher" by Nobel Peace laureate Muhammad Yunus. What's Going on in the Marketplace? Your company can influence the industry arena and shape its own reputation by anticipating and responding to present issues. If getting covered in the news media is of particular interest to your business, then it's a chance to exert your company's thought leadership and influence. Be ready to comment on both good news and bad that captures the public's attention as it pertains to your industry arena. For digital security companies, for example, large-scale credit card security breaches or debates around encryption concerns (e.g. Apple and the FBI) are smart times to take a stand for what your brand does to keep client data safe. Your company's regional or country connections to an issue could be enough of a hook to land your thought leadership platform in the news. Some topics that have connections to businesses in a number of sectors include: natural phenomena like floods, earthquakes, droughts, political issues, environmental and sustainability issues, safety and security concerns like threats of violence or data protection, health and wellness issues like Zika virus, contaminated drinking water or food recalls. Starwood Hotels & Resorts Worldwide, Western Union, Google, Verizon and Royal Caribbean recently promoted their business operations and expansion plans tied to President Obama's visit to Cuba. By participating in this major news cycle, these brands experienced a prestigious halo affect and raised their visibility, while demonstrating sector and product or service leadership with an affiliation to new policies that make new business opportunities possible. With a clear, authentic thought leadership strategy in place, you can consistently take a stand for your brand and really shine when solutions are needed and your industry is searching for answers. 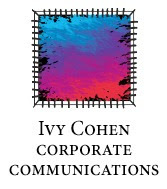 Ivy Cohen Corporate Communications, Inc. helps companies build reputations and differentiate in a competitive market through thought leadership, public education, issues management, content strategy, and strategic communications. To find out how ICCC can help you and your company build your reputation contact ivy@ivycohen.com, call 212-399-0026 or visit www.ivycohen.com.